Great Finish To A Great Week! 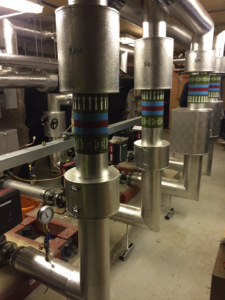 Recently completed boiler house, stucco aluminium cladding over mineral sections with purpose made boxes on valves. Like & follow our linkedin page https://www.linkedin.com/company/foxdon-limited-insulation/ to keep up with our latest news. Simple & Tidy, Job Done!